I had trouble finding details on how to wire this up, and was stunned when I tried something and it worked first time. It works via a wire coil generating a (small) magnetic field. 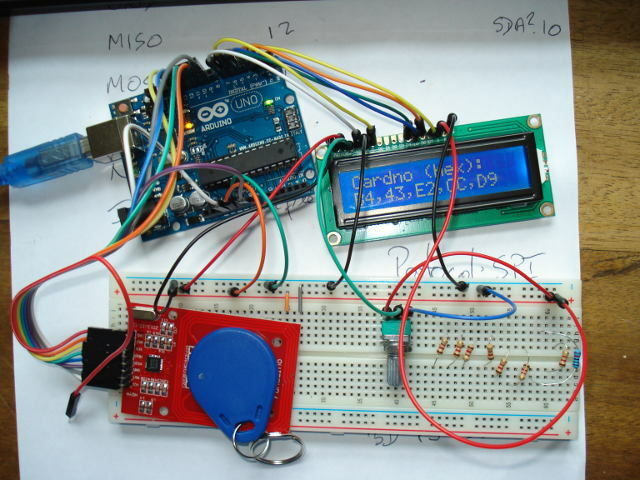 Put a tag near it (containing another wire coil) and it generates enough power to transmit a code from the tag. 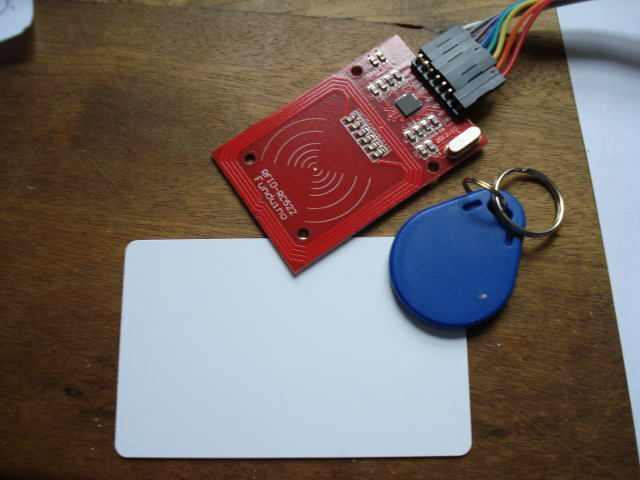 This is the RFID reader and two tags. This is it wired up. Ignore the unused resistors from a previous project. It was about this time that I started to run out of cables, particularly red and black. And this is the code; it came with the library and appeared in my 'examples' menu. The comments contain the pin wirings.